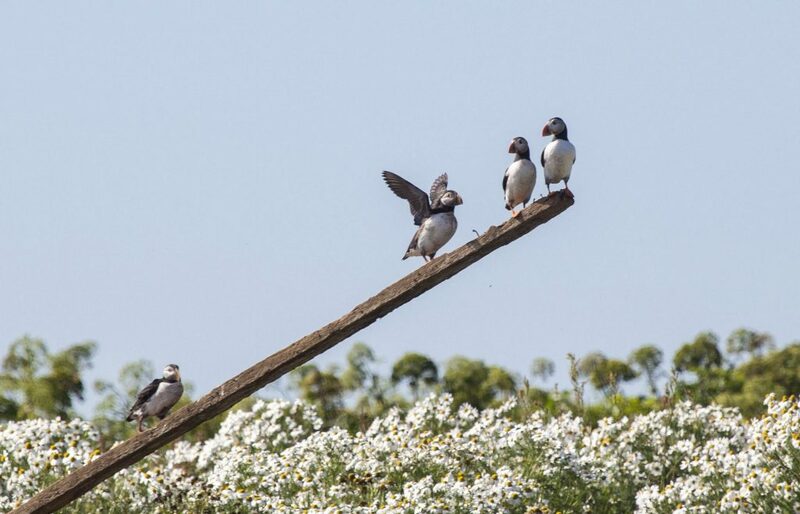 The perfect short tour out from Reykjavík with a guaranteed puffin sighting only 15 min out from the city’s old charming harbor. The boat, Skúlaskeið or Old Skúli is specially designed to go closer to the puffins and islands they live on. 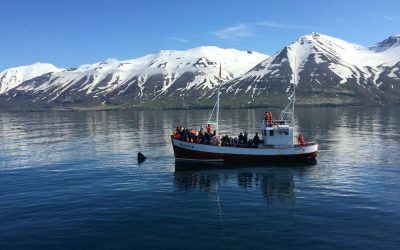 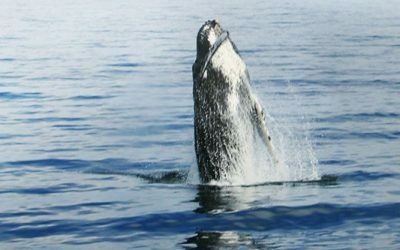 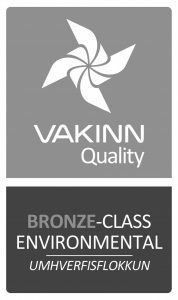 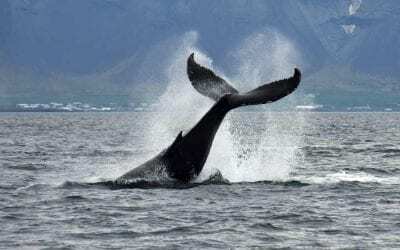 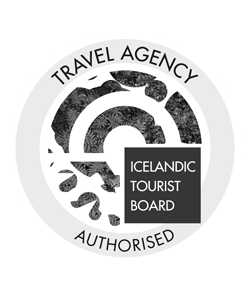 The guide will tell you all about the wildlife and the surroundings and the boat ride in and out will show you Reykjavík from a whole new perspective. 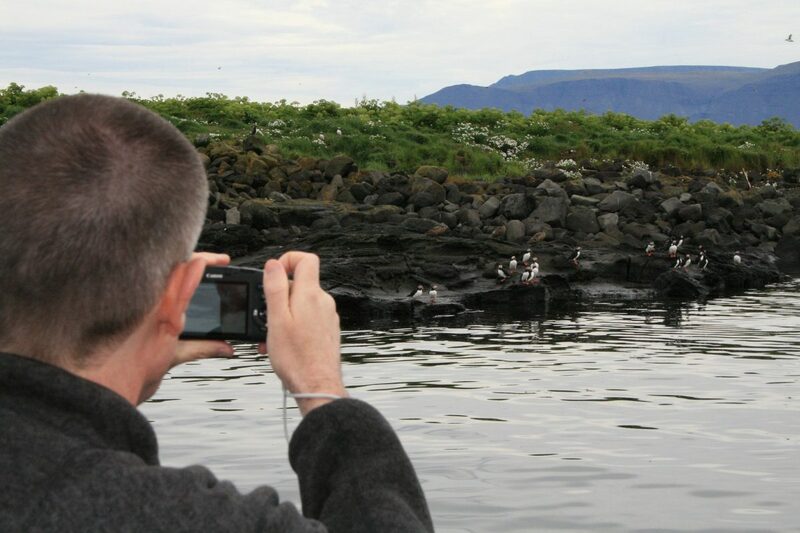 The Puffin Watching tour or the Puffin Express has been one of the most popular tours from Reykjavík for over a decade now. 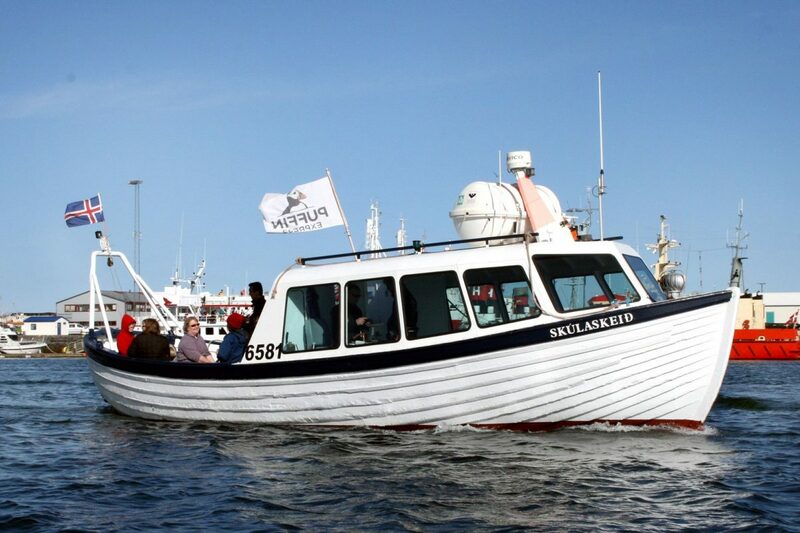 We now offer a specially designed boat for the Puffin watching called Skúlaskeið or “Old Skúli”. Only about 15 minutes out from Reykjavík you will find an island where about 30.000 puffins are nesting. 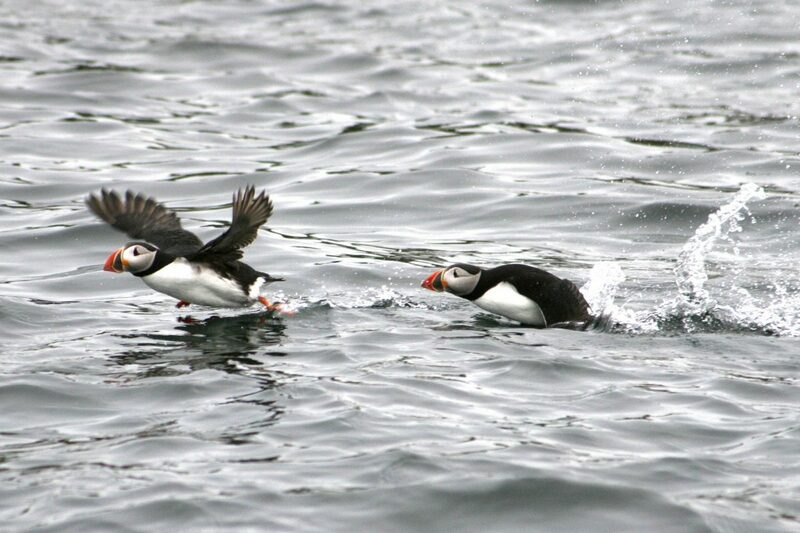 You will sail out from the charming old harbor in Reykjavík and after only a few minutes start to see these cute creatures. 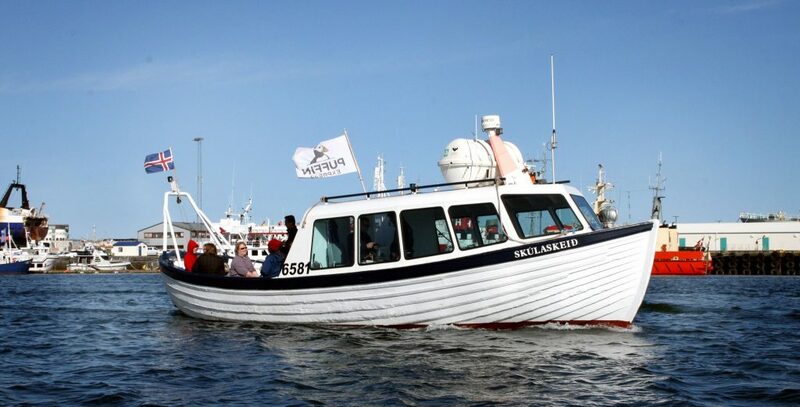 On the sail out you will also get a chance to enjoy Reykjavík from a whole new perspective. 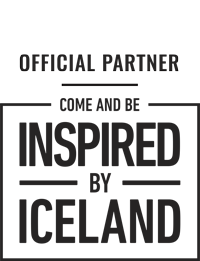 Get you camera ready! 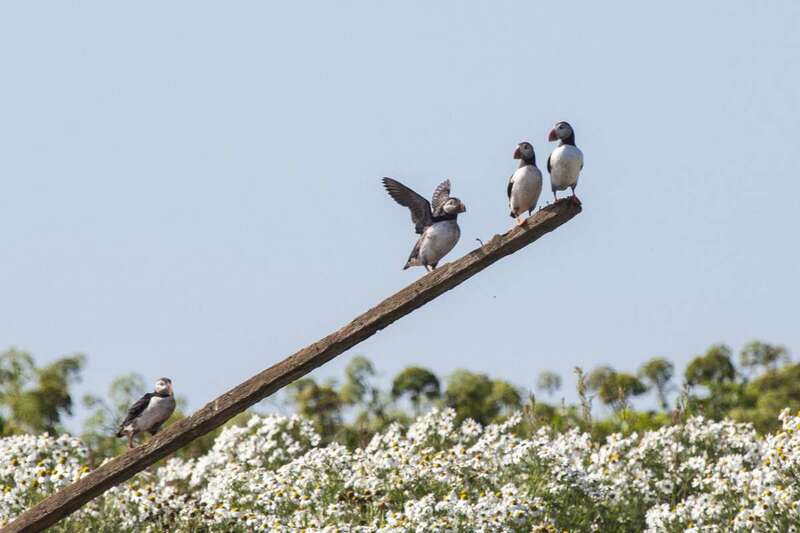 The guide will share information on everything you see along the way as well as sharing great information on the puffins and islands you’ll spot. 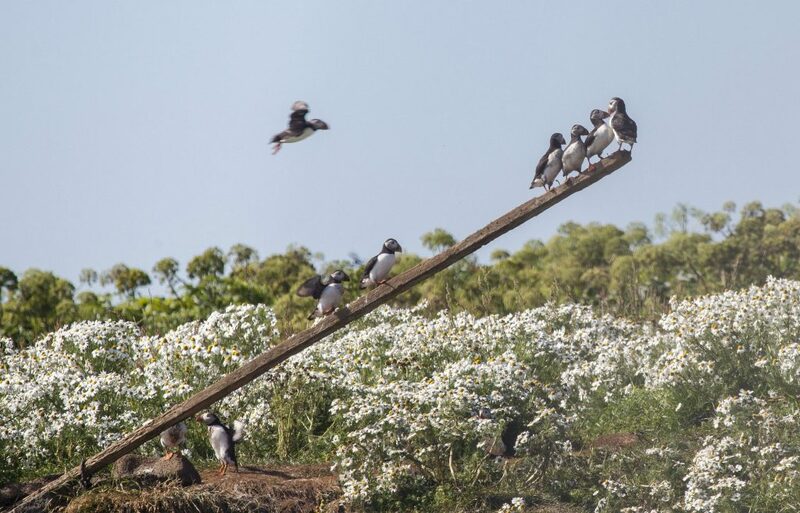 The islands we visit are covered with small hills and slopes and both are known for their colorful and rich birdlife. 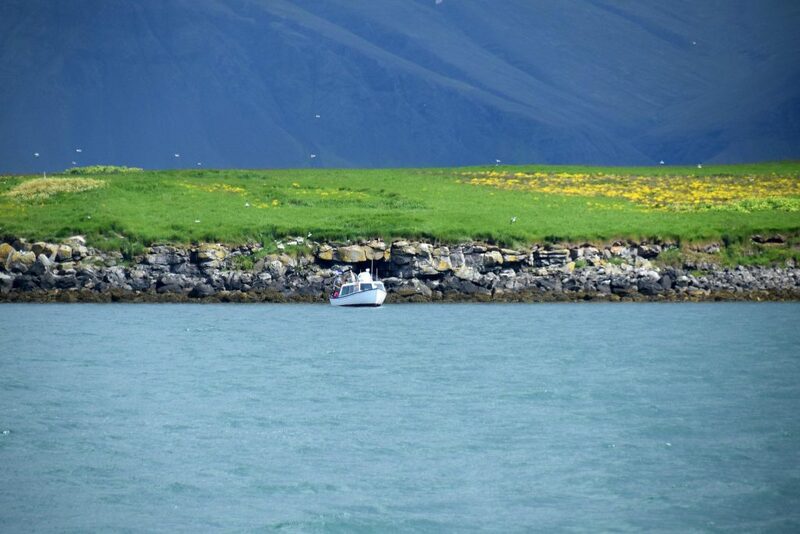 The island‘s shores are rocky but fear not, our boat Skúlaskeið is designed to take us as close to the islands as possible this gives us the absolute best seat to see puffins. 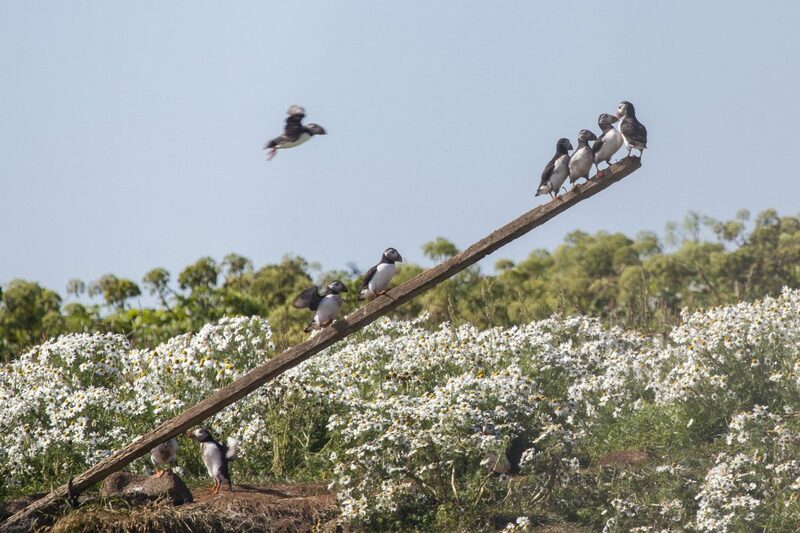 When you arrive at the islands we turn off the engine so our passengers can observe the birds and the beautiful surroundings. 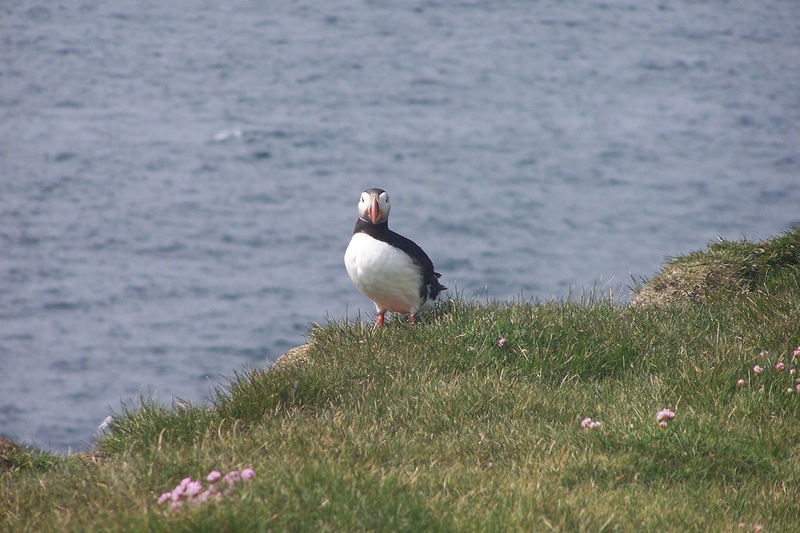 Your expert guide will tell you all the facts and fun stories about the cute Puffins and other wildlife that might be seen on the tour. 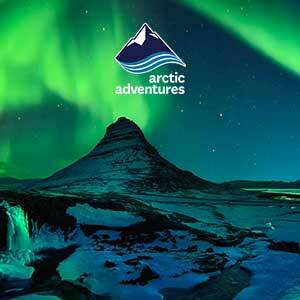 After enjoying the beautiful birds and stunning landscape we will head back to Reykjavík. 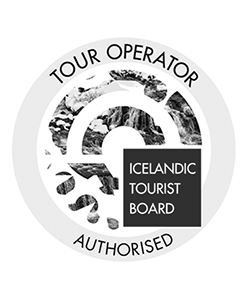 The perfect tour out from Reykjavík giving you plenty of time to enjoy the city.